The inherently talented Stick Figure returns with an absolute scorcher of a record! 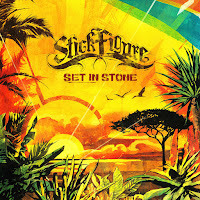 Set In Stone is aptly titled as it permanently etches 'Stick Figure' on the figurative stone tablets listing only high-quality roots reggae. Stick Figure showcases the talents of multi-instrumentalist and producer Scott Woodruff. His music has a unique style that creatively blends upbeat roots reggae with the reverberating echoes of dub. Three years in the making and over 1 hour in length, Set In Stone begins with "Fire on the Horizon", a tune that could easily double as the opening jam for their upcoming tour. You simply get lost in the intro. The riddim is smooth, slow and hypnotic with a perfectly placed guitar twang throughout and a 'jam-for-10-minutes-if-you-want' guitar solo to close the track. "In This Love" bubbles with a positive vibe and infectious beat with lyrics to match. "Sound of the Sea" is a classic! Booming, one-drop drum and bass amidst a tale of longing for the past. "I want to go...I want to feel the way I did...I want to go back to the way it was." Then it switches. The riddim breaks down and with that the listener is told "just a little bit longer. The music's making us stronger." Nice outro to one the gems of the record! Set In Stone also features some serious collaborative talent. Rebelution's Eric Rachmany guests on "Mind Block", a solid tune laced with a twinge of Aswad's 'Dub Fire'. Slightly Stoopid partners on the upbeat groove "Choice Is Yours" and the infamous Collie Buddz lends his skill on the track "Smokin' Love". The echoes, reverb and other sound effects are ever-present, yet never over done. Subtly immaculate. "Out The Door", "Shadow" and "Weary Eyes" are perfect examples. Woodruff with Stick Figure's current lineup of Kevin Bong (Keyboards), Kevin Offitzer (Drums) and Tommy Suliman (Bass). "Sentenced" incorporates a haunting organ riff set a top a pulsating, simple drum and bass that perfectly compliments the sad story being told. The piano adds a gentle sense of elegance to a tune describing the hardship and heartache of being "sentenced, living in detention" for shooting a man dead. Big tune dat!! The delivery and simple, yet poignant lyrics on "Sunshine and Rain", "One of Those Days" and "All My Love" shows that Stick Figure has developed an understanding of what reggae music is all about. Words are important but the message of a song can be completely lost if there's too many lyrics packed in a verse or chorus. These tunes are layered but at the same time simple and catchy. "Smiles on Faces" featuring K.BONG is a wonderful conclusion to an album that you don't want to end. It's a unique track with a sort of Death Cab for Cutie meets Modern Roots Reggae feel. The riddim is lively and the message is positive with Woodruff and K.Bong alternating verses seamlessly. For the song to include the King Yellowman classic lyric "if all the girls in the world we're living across the sea, what a wonderful swimmer, yes you know that I would be" makes it even more lovable!! Boom Tune!.... Driver Pull up dat! Set In Stone is arguably Stick Figure's finest album to date. The musicianship, as usual, is first-rate and near perfection. That being said, this record really takes things to a level that even Stick Figure had yet to reach. Wooddruff's attention to detail when crafting a song is extraordinary. Every sound is crisp, clean and superbly placed in a seemingly effortless way. 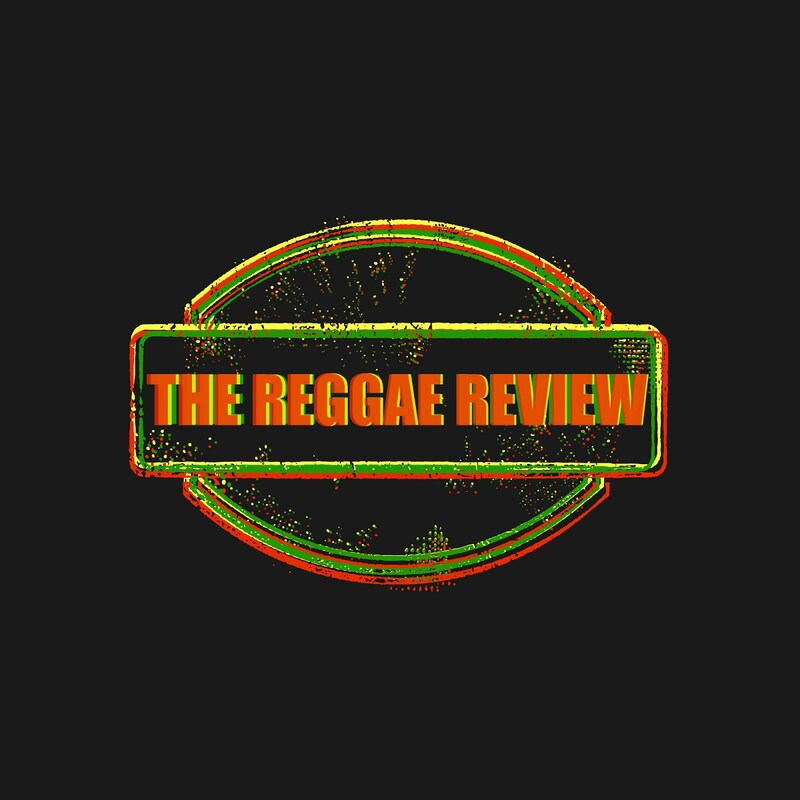 Top to bottom 'Set In Stone' should be counted as one of the best Reggae records of 2015/16. Stick Figure just keeps getting better with every album. Crucial! Scott and the band including Cocoa the stage pup who is like a Sublime Lou-dog revival always brings the best reggae. After an album release, I think "how can these vibes and riddims get better" but they always do. Thank you Scott and Stick Figure for keeping my Tosh symptoms of reggaemylitis a constant blood pulsing positive and healthy ailment !